KANSAS CITY, Mo. 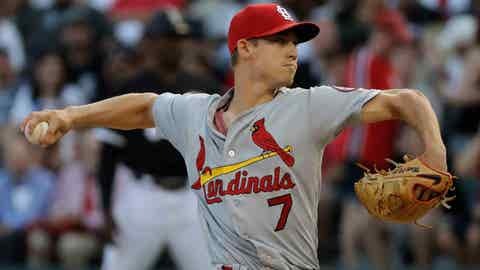 — St. Louis Cardinals pitcher Luke Weaver cut his finger while opening a food tray in the clubhouse at Kansas City and was scratched from his start against the Royals. Shildt says Weaver was willing to power through a cut on his finger to start today, but it made more sense to hold him back: "We clearly don't want him to miss another start."